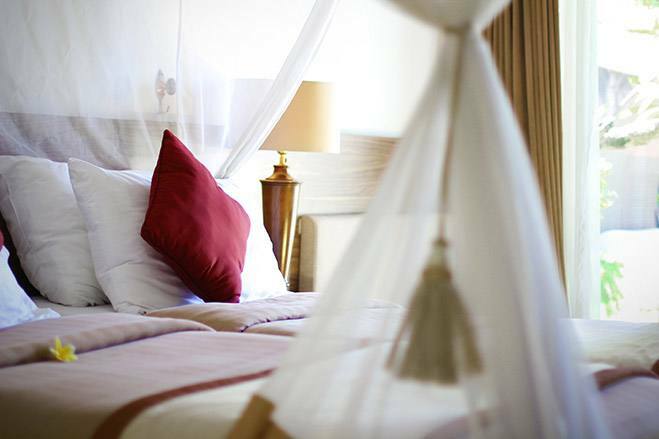 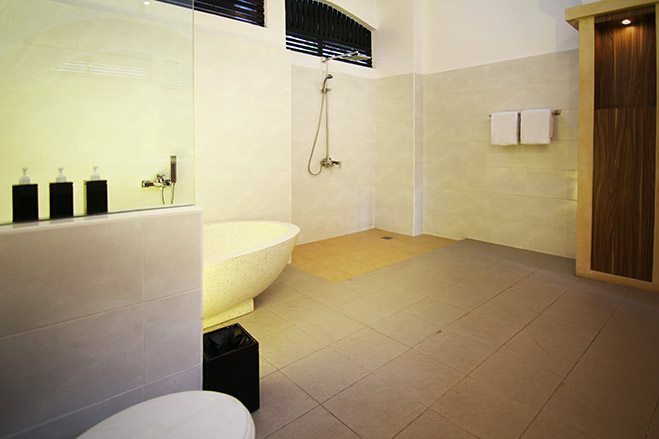 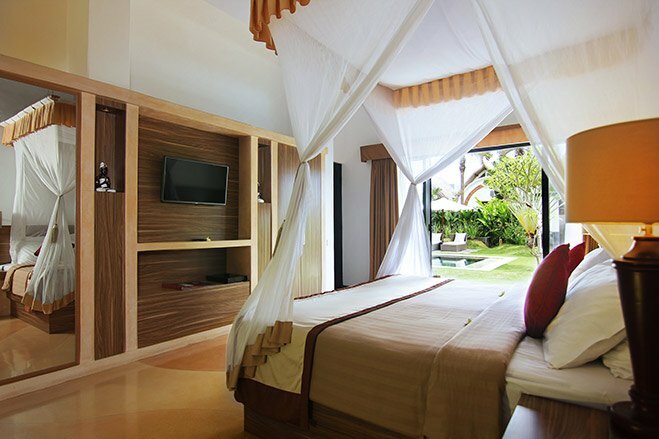 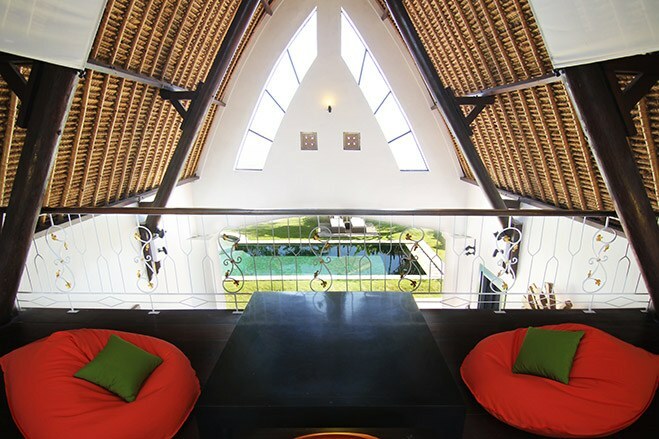 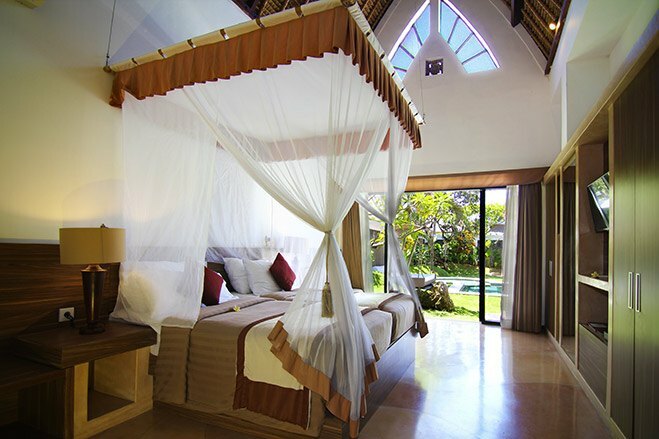 Two bedrooms Royal Pool Villa is designed with Balinese traditional rice barn houses with a natural thatched roof. 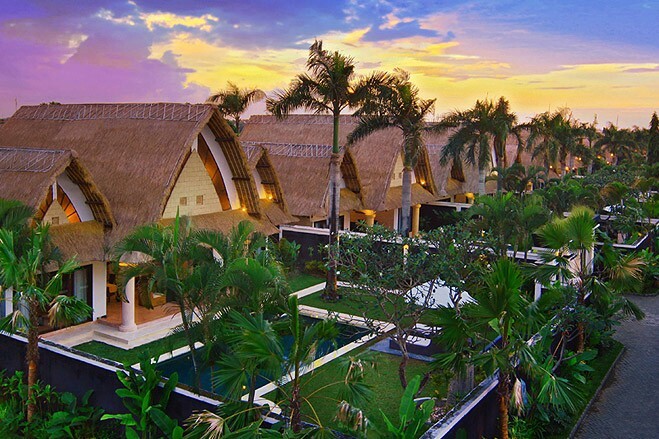 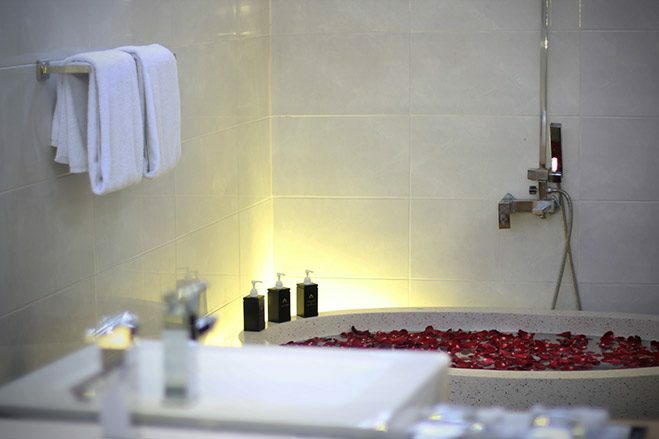 Nestled in the expansive 450 sqm area, the villas are set in a lush spacious tropical garden and suitable for family and couples. 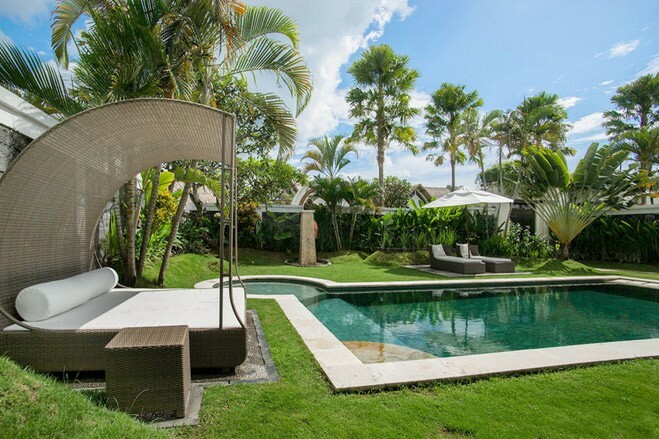 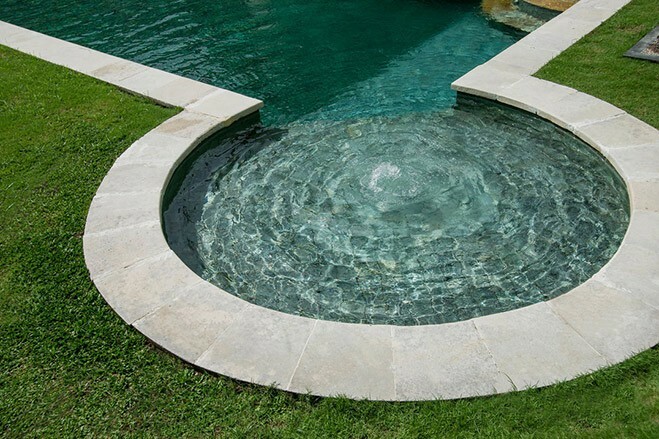 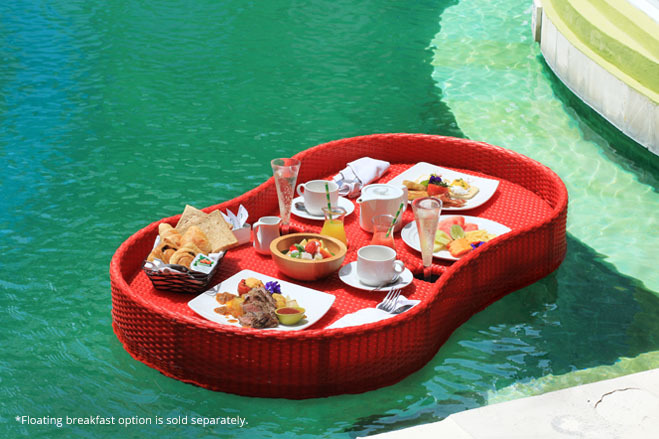 With wide space of garden and oversize 4x8 meter swimming pool, enjoy the free natural surroundings and being emerged with the design. 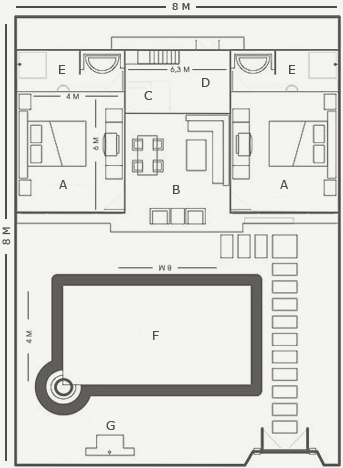 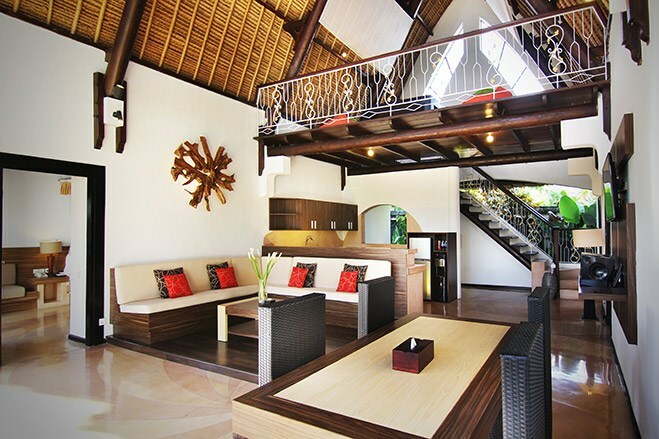 The Royal Pool Villa features kitchenette, integrated living with dining space and cozy mezzanine loft. 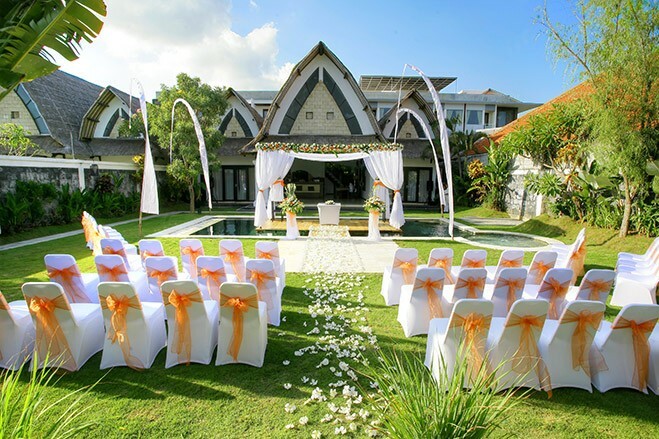 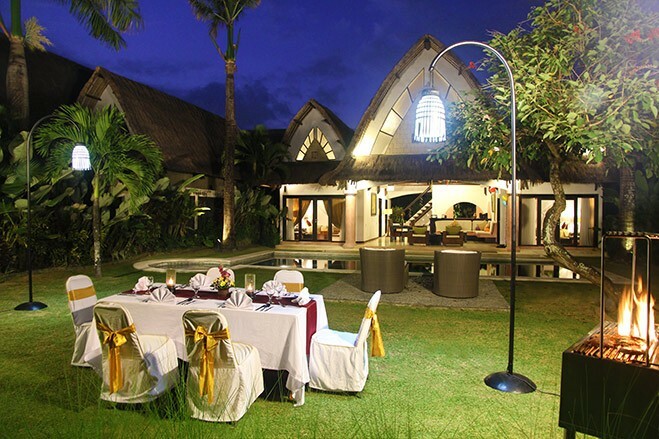 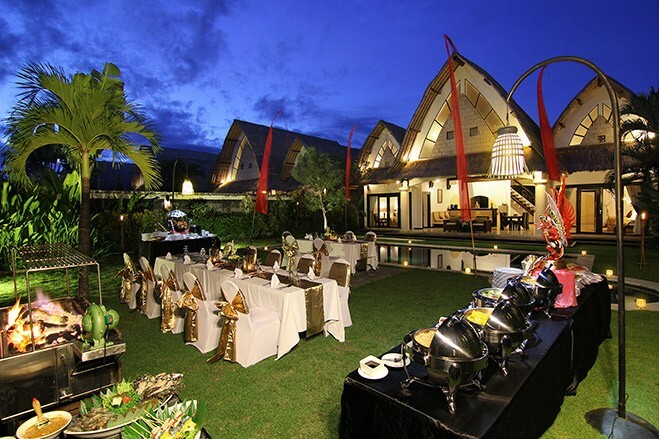 Royal Villa Garden is also best for an intimate wedding ceremony and reception.